« What’s all the drama about? Lyric Theatre is based in Belfast and has built up a fantastic reputation on stage ever since they were founded in 1951. Producing on average five plays a year; their newest production is called ‘The Miser’ and is based on ‘L’Avare’ by Moliere. Moliere (1622-1673) was a French actor and playwright and is considered one of the great masters of comedy in Western literature. ‘L’Avare’ is regarded to be one of his masterpieces. It is a satirical comedy in which money, avarice, family intrigues and love stories are all blended into one timeless tale. Money – money – money, it’s a hot item these days. Even though Moliere wrote this piece in 1668, the tale is still incredibly contemporary. ‘The Miser’ got a pretty good review in the Irish Times. The article refers in particular to the many absurd and hilarious scenes on stage. “The crazed obsessions of the central character, his absurd attitudes to love, his ridiculous attempts to disinherit his strong-willed children – the brash, bouncy Eloise and the foppish Tristram – his manic mood changes, as he wallows in the discomfort of his own frugality are, in themselves, the source of ample comic possibility”. You can read the full review when you click here. 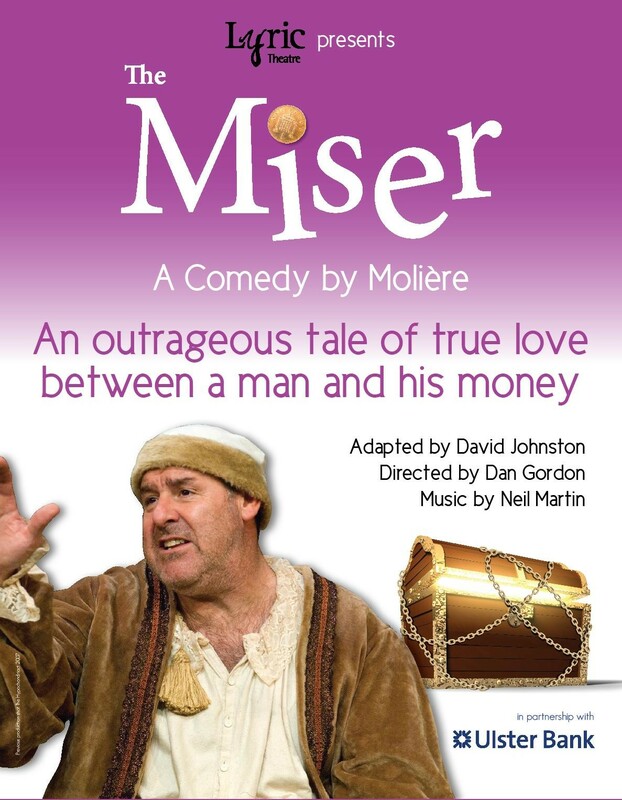 Droichead is delighted to have The Miser programmed for the 24th of June. The tickets for this play are 18€ and I can guarantee you that you will get your money’s worth. Reservations can be made by calling our box office on 0419833946. To book online just go to our website www.droichead.com. This entry was posted on June 10, 2010 at 11:46 am and is filed under Theatre. You can follow any responses to this entry through the RSS 2.0 feed. You can leave a response, or trackback from your own site.